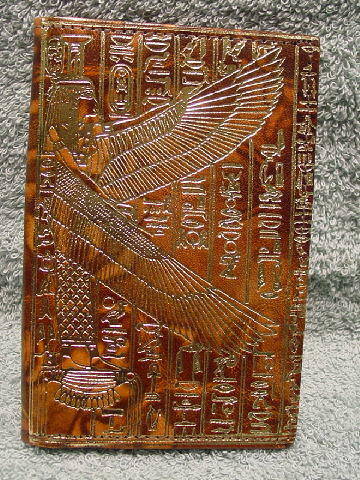 This never-used multi-tone brown leather wallet has an Egyptian design of a winged goddess with hieroglyphics in gold-tone. The back and the interior are plain. 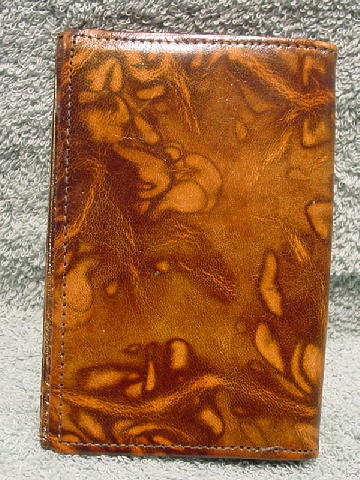 On the inside is a full back, brown fabric lined dollar bill compartment. 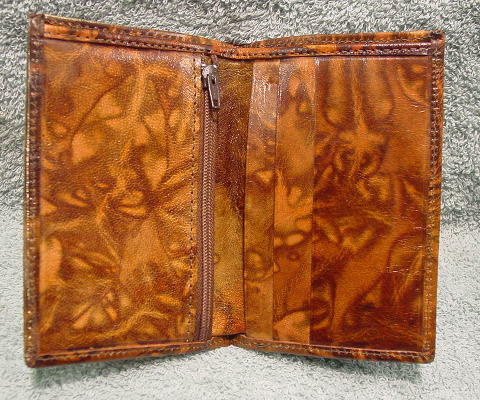 The left side has a zippered compartment and behind it is an open section. The right side has 3 separated sections in different depths.